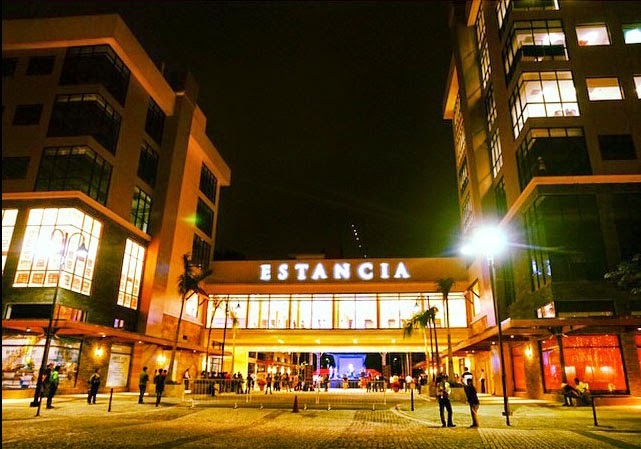 Capitol Commons surprises us yet again with the opening of Estancia, the newest urban style sanctuary. It will be home to over 70 retailers and will feature brands such as New York's Isaac Mizrahi, P.S from Aeropostale, French clothing Eden Park, Parisian jewelry and accessory brand AGATHA Paris, Spain's second largest retail brand Cortefiel, British shoe brand Kurt Geiger, and Swiss shoe label MBT. The mall was built to create an atmosphere that will celebrate fashion, entertainment, and food. It was given the name "Estancia" which means "to stay a while" because the developer, Ortigas & Co., aimed to draw people to stay and linger at the mall. Aside from shopping, Estancia will also house several dining options such as Ikkoryu Fukuoka Ramen, Peanut Butter & Co., TWG, Banana Leaf, Pepper Lunch, Craft Coffee, and Clockwork--UCC's forray into third wave coffee-- among others. A variety of restaurants are also set to open soon such as Grace Lee's unique Shoju bar, Eum Ma Ne, Bap Bap, the first Buffalo Wild Wings in the country, and Japanese curry house, CoCo ICHIBANYA. For the first and second weekends of December, everyone can have a preview of these gastronomic choices in both Estancia and Gastro strip. 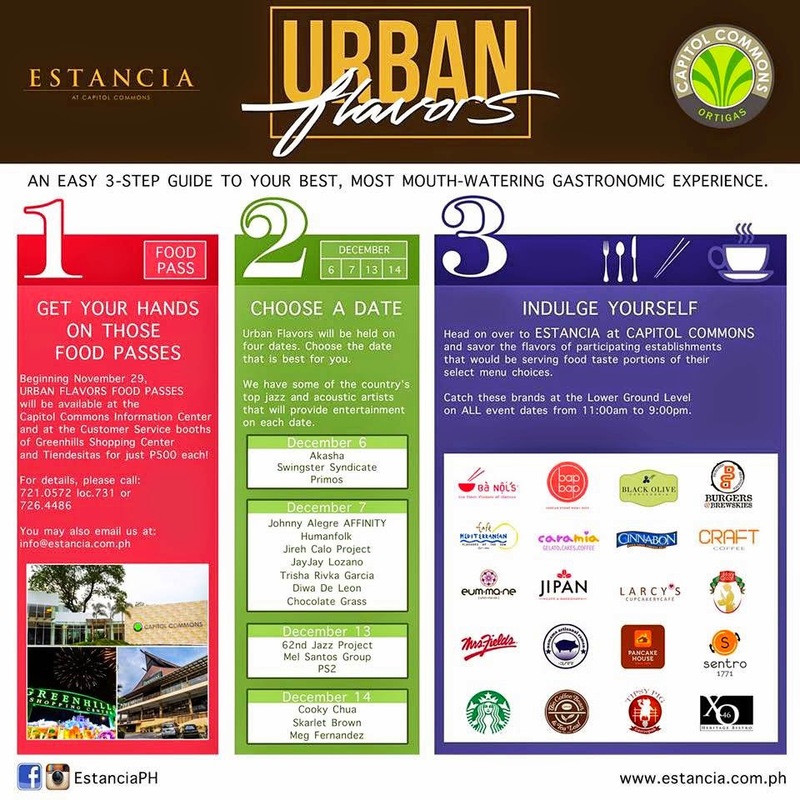 Just drop by at the Urban Flavors Weekend at the lower ground level of Estancia Mall anytime from 11 AM - 9 PM and avail of the food passes. For a minimum fee of P500, one will be able to enjoy food taste serve portions of establishments such as Ba Noi's, Black Olive, Nomama, XO46 Bistro Filipino, Eum Ma Ne, Cara Mia Gelato, Jipan Cafe & Bakeshop, and Larcy's Cupcakery Cafe, among others. Diners will also get to watch performances from Manila's top jazz and acoustic artists throughout the day. Food passes are available at Capitol Commons Information Center, Greenhills Shopping Center Customer Service booth and Tiendesitas Customer Service booth. 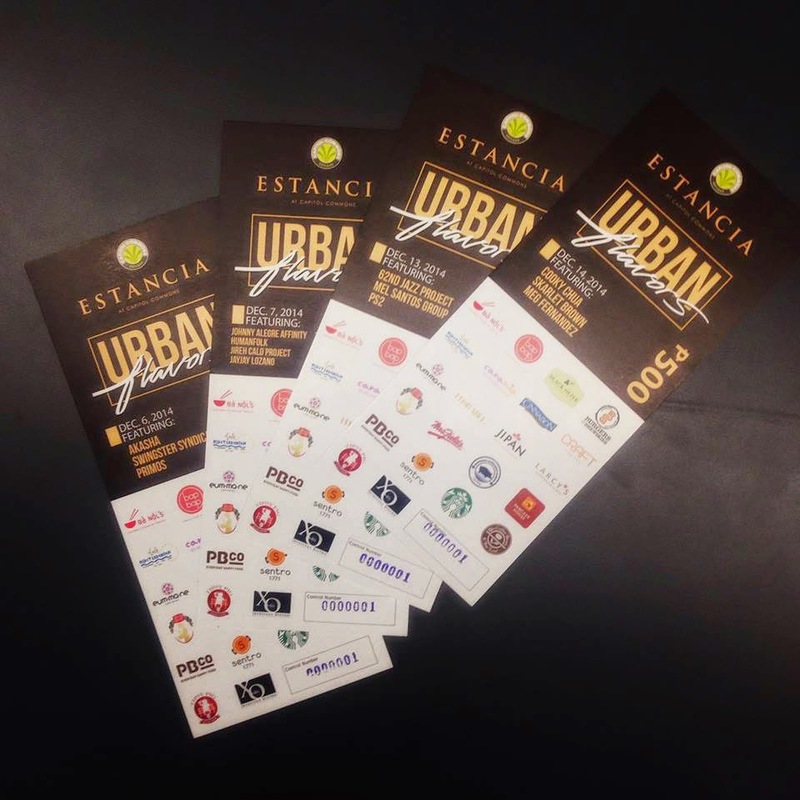 For more information, you may call 721-0572 or 726-4486, or email info@estancia.com.ph. For future updates on Estancia at Capitol Commons, you may like them on Facebook at https://www.facebook.com/EstanciaPH. Where is it located? In manila ba?